1/29 - 2/11/18 - This sweepstakes is expired. 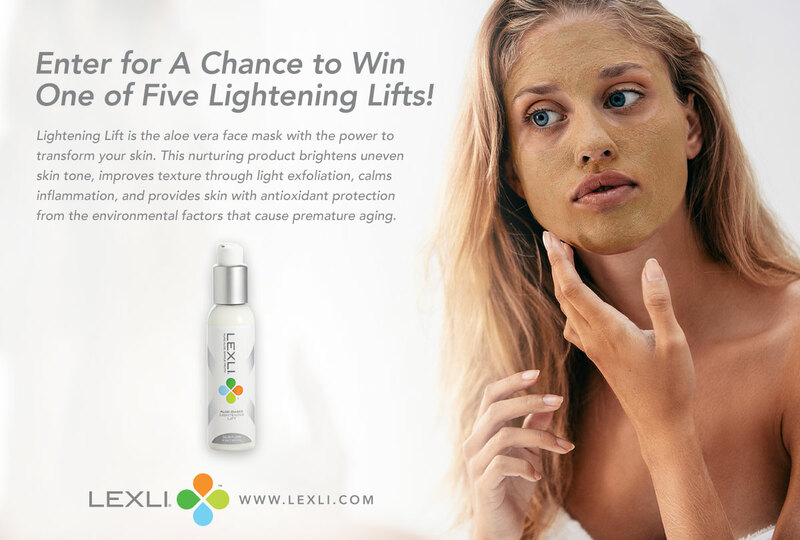 Be one of five lucky winners to receive a bottle of Lexli Lightening Lift, the aloe vera face mask that provides skin with a temporary lift, making it an ideal skin-preparation step before a big event. With consistent use, Lightening Lift brightens uneven skin tone and provides skin with antioxidant protection. Prize value: $65.99. Winners will be announced on 2/12/18.